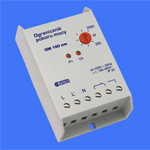 In power limiter, unlike to priority relay, NC contact does not return to closed position immediately. 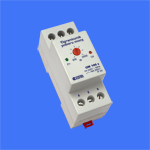 The relay cuts off power supply to the lighting circuit once the power consumption has exceeded the set value. Power supply is automatically restored 60 seconds after the reason of its switch off ceased to exist.